These books are awesome sauce! I may have read the books out of order but ,I really don't think it matters this series is just wonderfully done i am so in love with the books I am reading them all over my vacation and having a blast at it! Thanks for a great set of books that have made me cry ,laugh , worry, and be amazed! Wow what a great get away! This book I listen to as much as I could . I love time travel and history . I read your last book and loved it so I gave your new one a try and it was a total escape for me! I love when I book can do that to you and it was just fun to read . I was constantly thinking about it when I wasn't reading it! Not many books can do that for me so thank you for the company great story you are becoming one of my favorite writers ! Can't wait for your next book ! I loved how you new so much about cars and if only refuel was water! cant wait for book two. Would you consider the audio edition of Alienated to be better than the print version? Yes I always like audio better than print. I was captivated by the story in the first 3 minutes . This store grabs you and pulls you in fast. Before I knew it I was on chapter 12. I really like the idea that this could happen to earth one day. The whole idea of aliens coming here in peace. But, what's a store without some excitement and love. What does Madeleine Lambert bring to the story that you wouldn’t experience if you just read the book? She was a great story teller. I found nothing wrong with the way she choose to use her voice. I was never confused about who was who and I hate when a girl tries to sound like a man or boy and do it terribly.She sounded great with every character. I just knew from the start that there was going to be a big problem. I was happy to see that as a human we love ,hate, or just have passion. A lesson that people not from earth don't understand. Until they start living with us. It's a great book I never write reviews but, I thought this book needs to be read by other people because ,it's so good. What made the experience of listening to After the End the most enjoyable? This was a big surprise for me. Once I read and heard the storyline I was very captivated from the moment I started to listen to the first 5 min. So I thought I have a credit I am going to try it. Well , 9 hours later I realized that I read it straight through and could not put it down. Now I haven't ever written a review before but, I had to with this book. It has such a great storyline and the plot is amazing. The constant adventure was invigorating. I thought I had it figured out but the twist and turns were keeping me on the edge of my seat. I really enjoyed the main character Juno so much. She is so brave and yet so sheltered by what her who life was about. What other book might you compare After the End to and why? Divergent, Agenda 21, These books all have that what if we did this instead of how we really live. The idea of what can happen when you experiment on humans. Like we become the lab rat.I like to hear how other people think about what life would be like if we did this . What about Emily Rankin and Graham Hamilton ’s performance did you like? 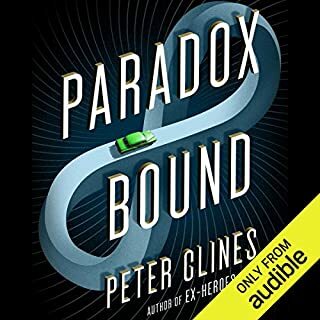 I am a very avid Audio Book reader, reading about 3 to 4 a week. I think they did an excellent job and sometimes this is hard to find.I like the fact that they used two people to share a storyline not a man trying to sound like a girl or a girl trying to sound like a man . I dislike this as a practice.They did it just right. 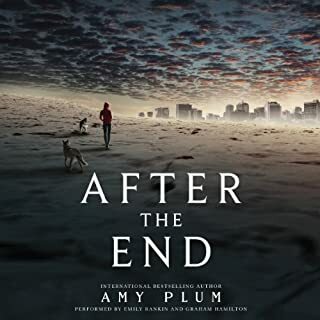 I saw the book and gave it a chance and I couldn't put it down.I never herd of Amy Plum the author before this. I was upset how the book ended. I really hope it doesn't take too long to write the second book. I know I will definitely be waiting for it. It's not a bad ending but I just wanted more.